Umphrey's Mcgee is a band who's music is ever expanding. One minute they are funky and dance driven, then without missing a beat they will turn to straight metal and hard rock. Breaking down the barriers between genres isn't a task most bands can accomplish but in the nearly two decade existence of Umphrey's Mcgee, the six-piece band has mastered the art and in all honesty, they make it look simple. 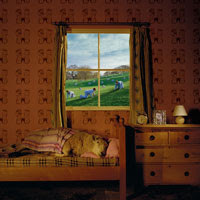 Today's song of the day comes from their 2006 release "Safety in Numbers." "Words" is a slower song but carries an uplifting spirit. It is rarely played during live performances, which is where the band has acquired most of their fame. Umph will soon embark on their summer tour, which was kicked off quite nicely last weekend at Summer Camp Music Festival, where the band played five sets and absolutely destroyed it. Don't sleep on this band. They continue to grow at a rapid pace and who knows where they will be a year from now. 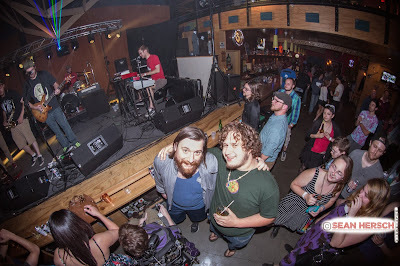 Today's song of the day is brought to you by awesomeness and dope production, starring GRMM and Father Dude. This song, "Electrify," was released last year, but still continues to electrify each time it plays. Father Dude is quite the talented vocalist, bringing the perfect airy, dream-like element to an equally ethereal, chill trap melody produced by Sydney, Australia's GRMM, who belongs to the record label Neon, while Father Dude is involved in the artist collective Hegemon, alongside artists such as Daktyl and Just a Gent. 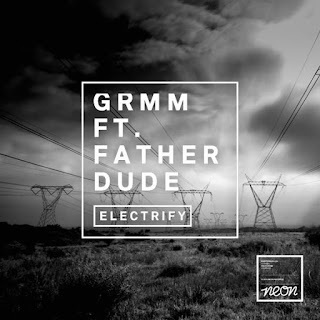 Father Dude, although a vocalist, has been making himself a name in the EDM world, working on projects and creating beautiful music with talented producers, such as TroyBoi and Slumberjvck. This song in particular is one of my favorites of Father Dude's, the high-pitched vocals mix amazingly with the piano and synths, generating a soulful and eloquent finished product. Check for yourself below and enjoy! Dispatch formed in 1996 in Vermont and gained a considerable amount of fame before taking a hiatus in 2002. They came back "for good" in 2011, playing periodic shows between that time span, and is currently working on their 6th studio album. On January 1, 2015, Dispatch announced that they would be playing a benefit show on July 11, 2015 at Madison Square Garden in New York City to shine light on the issue of hunger in America. DISPATCH:HUNGER is set to be the only show in North America in 2015, and $1 from every ticket sold will go directly to starving Americans. 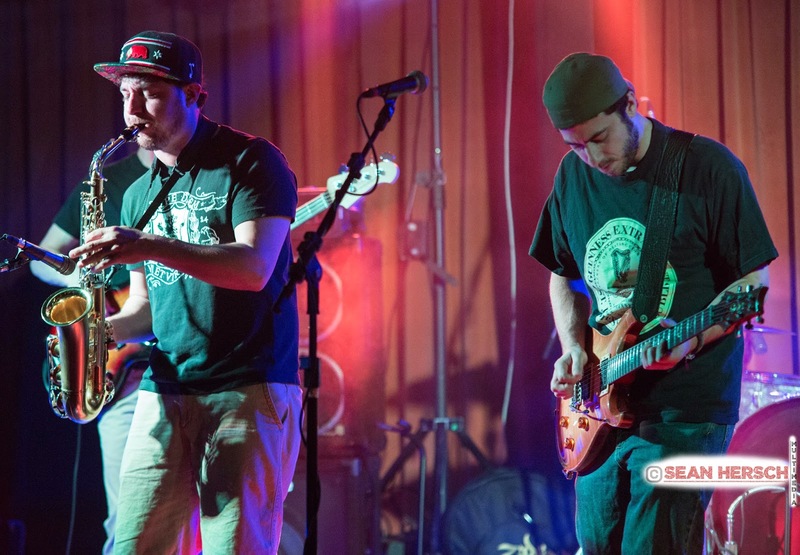 John Butler Trio is slated to guest at the benefit concert. Due to increased demand, on January 20, 2015, Dispatch announced that they would be adding a second night to their DISPATCH:HUNGER show, set for Friday, July 10, 2015 at Madison Square Garden. Dr. Dog is slated to guest at the concert. This song "Styx and Stones" has been stuck in my head for weeks. A_Rival compiled a brilliant set of remixes inspired by the video game soundtrack to Crypt of the NecroDancer originally composed by Danny Baranowsky. The full version of the original soundtrack can be heard here if you want to compare the different styles. This is just one of the 21 incredible tracks that A_Rival has put together on the album Crypt of the NecroDancer : The Melody Remixes. "Styx and Stones" fires me up for a mystical journey, like something a Castlevania or Zelda game provides. A_Rival is amazing with their versions of video game themes and their original creations are just as epic too. Listen to this whole album it gets more and more ghastly as it goes. Get the full album and more here on the official A_Rival bandcamp, and support awesome chip-tune producers. On this Monday, Memorial Day, it's important that we recognize what this day is truly about. Yes we get an extra day off, but we must remember all who have done their part to make this country what it is today. 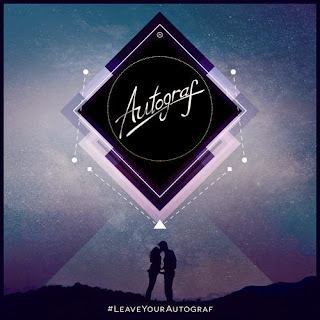 Now on top of that, Memorial Day is basically the gateway to summertime, and with that I bring to you this most recent remix from the Tropical House trio known as Autograf. Always perfect for those summer vibes, their music makes you feel like you're on an island with a cold one in your hand and not a care in the world. This remix of "Mad Flava" is more of a mellow take on the song, still keeping some of the key sounds involved not to stray too far away from the original. The slow tempo of the original fits well in this genre of music. Autograf did a great job of searching for a track that they could use to their advantage. 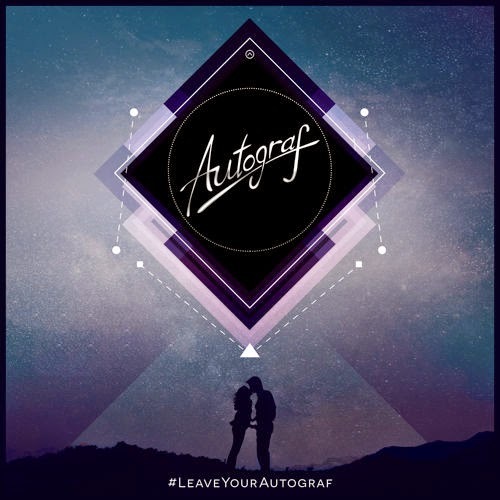 Be sure to follow Autograf for more of their cool remixes and originals. Happy Monday everyone. Kromuh & Statik are both doing big things as emerging producers in Chicago. 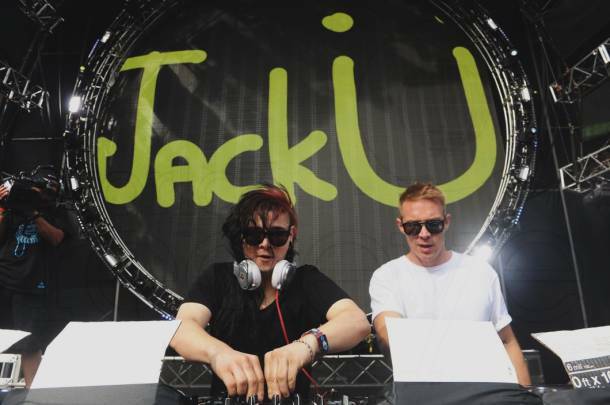 This song is the debut of a collaboration between the two and sounds amazing. This song incorporates a glitchy beat and some funky guitar riffs that sound great over some sampled vocals. Give this song a listen and check out each respected artists to see everything else they have to offer. 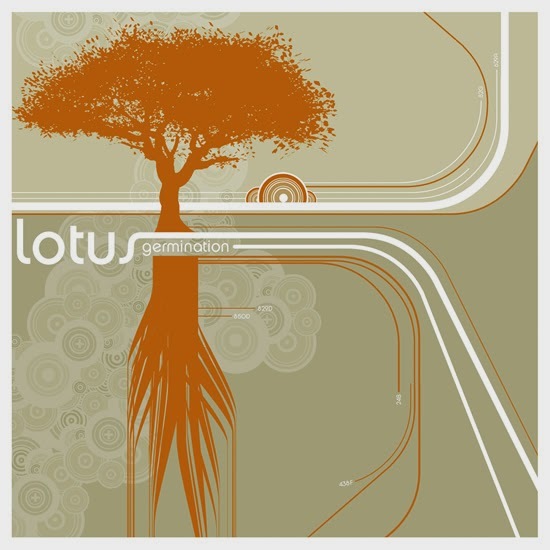 Today's song of the day throws it back to 2003, when Lotus, a instrumental electronic jam band from Indiana, released their second album "Germination" through Harmonized Records. 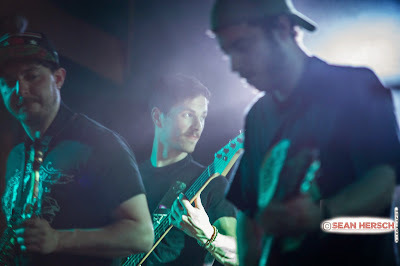 "Umbilical Moonrise," the first listed song on the album played a strong role in catapulting the band into their current state, which includes non-stop touring and common festival headliner spots. The song itself encompasses exactly what the band is about, chill but ready to explode into dance at any given time. It is hard to listen to this song and not have the feeling of relaxation come over you. "Umbilical Moonrise" is perfect for kicking back and relaxing on a Saturday afternoon. Enjoy! Who DOESN'T love Stinkahbell? No one, that's who. 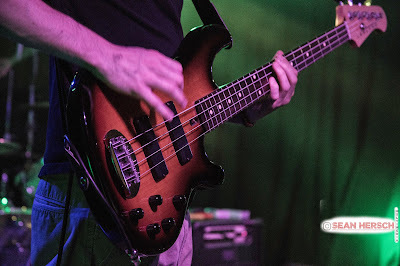 Unless you aren't fond of dirty, grimey, filthy and delicious bass. To be honest, for a second I almost forget about the duo, until I turned on Diplo's Diplo and Friends BBC1XTRA from January, and caught a whiff of that stench in the beginning stage of the mix. This track, "Film Noir," is a unique one. What I like most about it is the vocals, which could be saying anything, but to me sound like "moving kind of slow, gotta get that bagel." And now you will never unhear that. Check it out for yourself- it's a great way to welcome in the weekend! 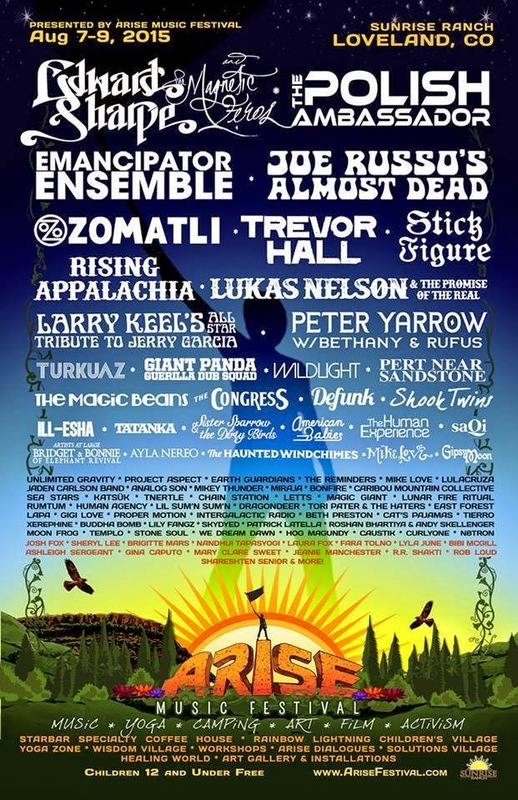 ARISE Music Festival is back again in beautiful Colorado at Sunrise Ranch, located 65 miles north of Denver. Although ARISE is a music festival by name, that's not all that it entails. ARISE is a music, yoga, activism, and co-creative camping festival celebrating its 3rd year of bringing people together to explore their creative potentials, connect with nature, stretch out, dive in, and dance. This August 7-9 ARISE will take place on the 100 acre Sunrise Ranch and have 4 stages of world class music, internationally recognized speakers, film screenings, yoga, open discussions for positive change, and a plethora of workshops. Find links to more info about everything they have to offer at the end. Now, to what everyone wants to know about. The lineup! 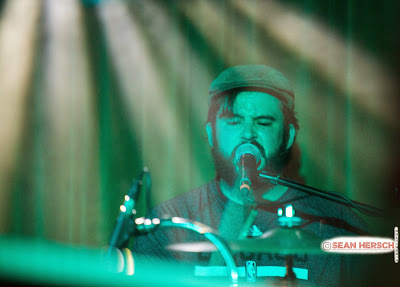 Consistent with years past, ARISE has a packed the bill with talent from top to bottom with names like: Edward Sharpe & the Magnetic Zeros, The Polish Ambassador, Emanciator and his Ensemble, Joe Russo's Almost Dead, Rising Appalachia, LarryKeel and his All-Stars doing a tribute to Jerry Garcia, Pert Near Sandstone, Unlimited Gravity, Project Aspect, Mikey Thunder... and, as hard as it is to believe, there is still more yet to come! Check out the full bill as it stands below. 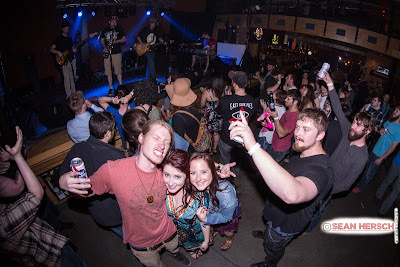 ARISE Music Festival's intention is to create the kind of experience that is uniquely possible when we are all in it together from beginning to end We hope you choose to join us. It's going to be magical. 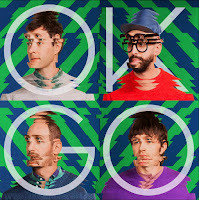 Here's a really cool video for the song "Here It Goes Again" by the group OK Go. These guys are all about choreographing clever visual displays for all of their music videos. This was the first big hit for the band, and this video went viral quick with 26 million plus views currently. Their music is a throwback style with very catchy guitar riffs and cool sing along lyrics. You can stream more from OK Go on Spotify by following this link. 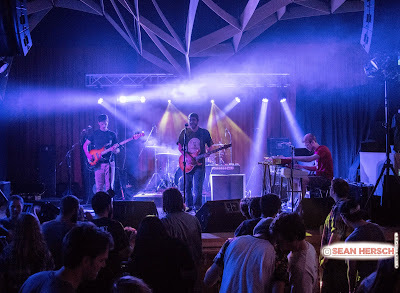 The psychedelic rock band SPREAD found their way back to Carbondale, the band's home away from home on May 2nd for their seemingly annual Spread Awakening show at Hangar 9 - one of the town's biggest music venues. 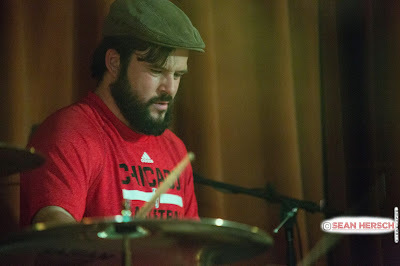 Dave Petrizzo (guitar), Colin Finn (bass), Patrick Reynolds (drums), and Joe Kentos (keyboards) make up the members of the band, which is now based in Chicago. But, these fun-loving guys started their culture in Carbondale, IL, where the band has garnered a strong cult following. So strong in fact, that even after Summer Camp Music Festival announced their third and final round of artists this year, SPREAD got the unsaid 4th round addition. Surely, it was from the continuous threads posted in the Summer Camp Facebook group by the band's strong following. This will be the band’s sixth consecutive Summer Camp performance. 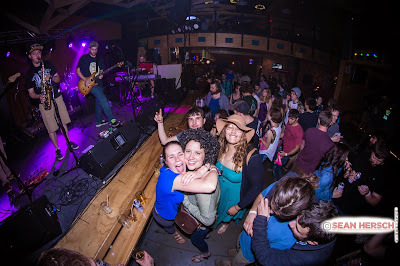 They were considerate enough to bring down Marty Gierczyk, from Chicago Funk Mafia, to play with them on a few songs throughout the night including "Expressway to Your Heart," "L.A. Woman," a SPREAD classic, and the encore, making it an extra funky set for the dedicated Carbondale crowd. 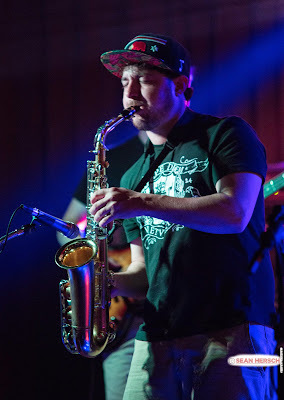 Marty's presence proved yet again, that maybe every jam band should include the sax. 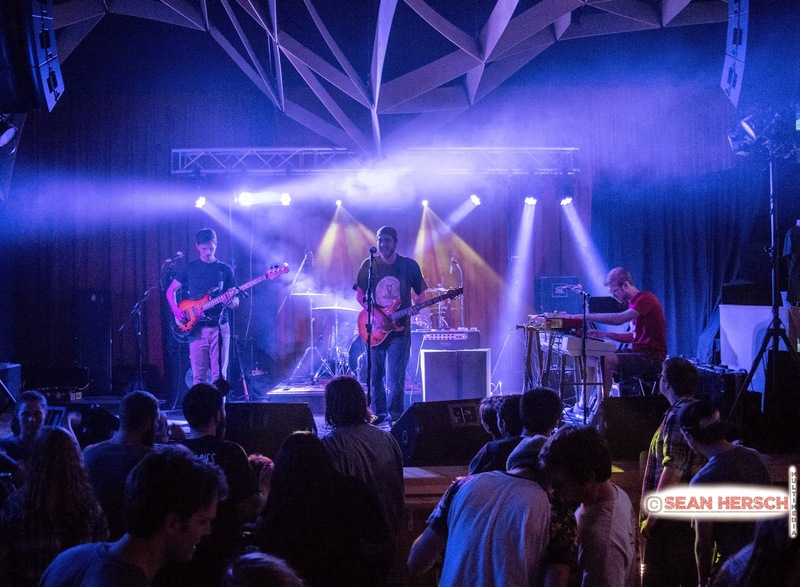 Since 2008, Spread has grown exceedingly, and they have done so with very few studio recordings. They do have live recordings that can be found on reverb nation. 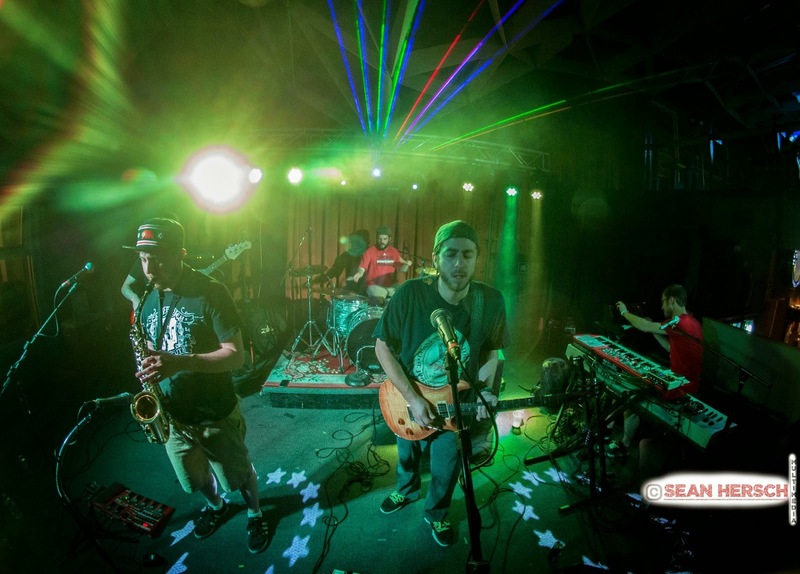 Be sure to check them out at Summer Camp Music Festival on the camping stage, Saturday May 23rd at 3 p.m. Check out this interview with guitarist Dave Petrizzo, made by Summer Camp Counselor Carmel O’Farrell. Happy Monday to everyone! Today's song of the day comes with the pleasure of showing you the new Deadmau5 and Grabbitz collaboration that so many of us have been waiting for. Yesterday it came out on the Deadmau5 Soundcloud page and has already reached 125,000 plays. Titled "BLOOD FOR THE BLOODGOAT" this track has all the features of a signature Deadmau5 track along with the great voice of Grabbitz. This seven minute long, analogue synth built track is absolutely amazing. I need not say more then for you to listen to it. Sit back, relax and enjoy the sounds of Deadmau5 and Grabbitz. It is safe to say that this 20-year old Belgian producer has stolen my heart in the past week. Every track on her Soundcloud page is near perfection, and it was difficult for me to choose which one I liked best. However, once I heard the unique sounds of this remix, I was won over. It was nice to come across not only a female producer, but one that was a breath of fresh air, each song having their own beautiful harmony that mixed well with a future bass and trap feel. 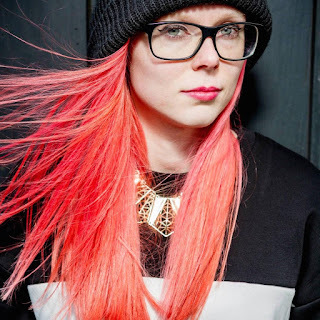 Previously going by the name of Mary Trappins, Polar Youth runs alongside the likes of Laetho and one of my all time favorites, Pusher, having recently released multiple tracks with the artist, such as "YAY" and "Switch." This is only the beginning for Polar Youth. 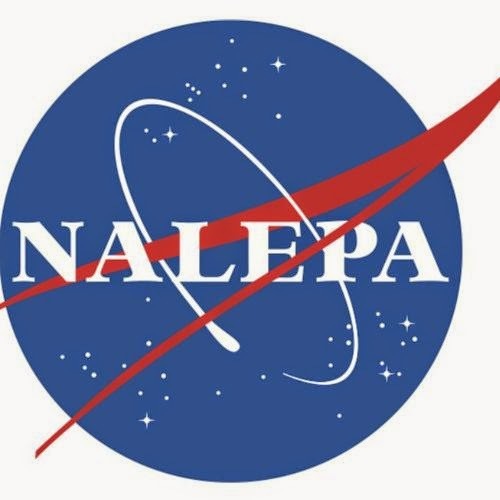 You can download the track for free in the link below. Today, the entire music community weeps. After 89 years in this world, the king of blues, B.B. King passed away last night in Las Vegas. King left an everlasting impression on the music industry with a career that spanned over six decades. His influence on blues music paved the way for so many great musicians that came after him, including Eric Clapton, Stevie Ray Vaughn, John Mayer and just about anyone else who has ever picked up a guitar. We remember King for his one of kind style, the way he told stories through his guitar "Lucille." We remember him for his passion and hard work, a man who toured relentlessly even well into his eighties. He truly was a one of kind talent, someone who's music has and will continue to influence generations of musicians for years to come. King's emotional style of play landed him several noteworthy awards throughout his career including a Grammy Lifetime Achievement Award, induction into the Rock and Roll Hall of Fame, a Presidential Medal of Freedom and many more. In remembrance of him, today's Song of the Day throws us back to 1993 where King played his classic "The Thrill is Gone" to a warm crowd at the Montreux music festival. As you listen to this song, let the notes from Lucille take you away and remember that the music we listen to and enjoy today is largely thanks to the work of Mr. King. B.B., we love you and we miss you. You may be gone now, but your music will live on in our hearts and minds forever. You will never be forgotten. Rest in Peace. 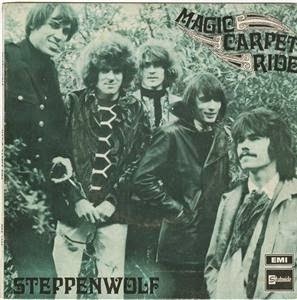 "Magic Carpet Ride" was the lead single off Steppenwolf's second album, The Second, released in 1968. The single peaked at #3 in the United States and stayed on the charts longer than any other Steppenwolf song - 16 weeks! 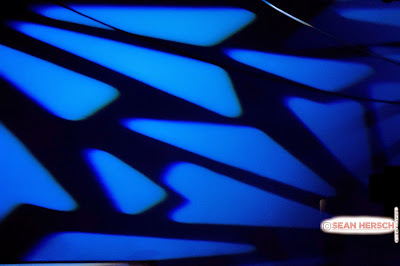 Lyrics from the song, "I like to dream, right between by sound machine" were inspired by a sound system John Kay, lead singer of Steppenwolf, bought with the royalities for their first album. If Steppenwolf isn't in your wheelhouse yet, Monster (1969) is a great album to start with. The whole thing is available on youtube, HERE. 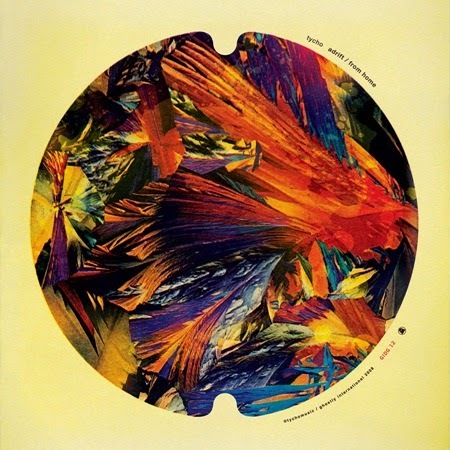 Scott Hansen, aka Tycho, released his debut full length album, Past is Prologue, in 2006. It wasn't until 2011, a whopping five years, he released his critically acclaimed album, Dive. It was with Dive he made the transition to a live band and gave other musicians credits on the album. 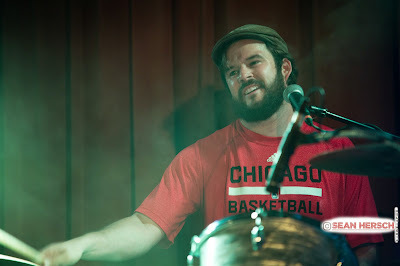 Namely, Zac Brown & Rory O'Connor. Although this album is stellar from start to finish, I always find myself entranced and enticed to turn up the volume when it reached this track. It's so easy to get lost in your thoughts while this masterpiece is slowly playing out in the background. One of my favorite tracks by one of my favorite musical outifts, I hope this track finds you nicely on this fine Tuesday afternoon. Today there isn't much hype about Ska music, but back in the 90's there was a huge push to involve horns in punk rock. I was all about it, being a skateboard kid it fit perfectly in my library of music. 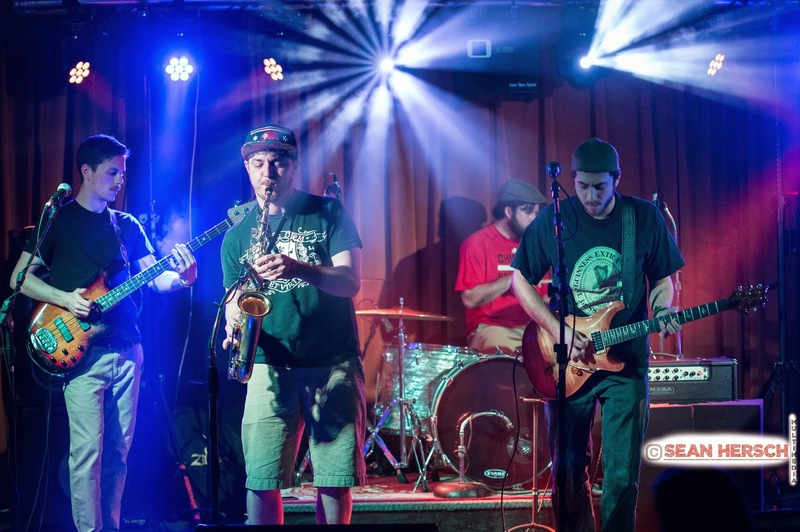 This is one of the best bands from the Ska genre Mad Caddies and their song "Big Brother." The Mad Caddies caught my attention at the Van's Warped Tour in Pontiac, Michigan back in the late 90's. Along with huge names like NOFX, The Suicide Machines, No Use for a Name, Eminem, and more, they stood out as a mischievous group of punk rockers. Mad Caddies played a brilliant punk/ska set that made me have to go get their album Quality Soft Core from their merchandise booth. I then listened to it all the time and showed all of my friends. I still pop it on from time to time and skank it out. Australian born guitarist/songwriter John Butler used to spend his days playing on the streets of Fremantle, making his way penny by penny from generous passerby's. 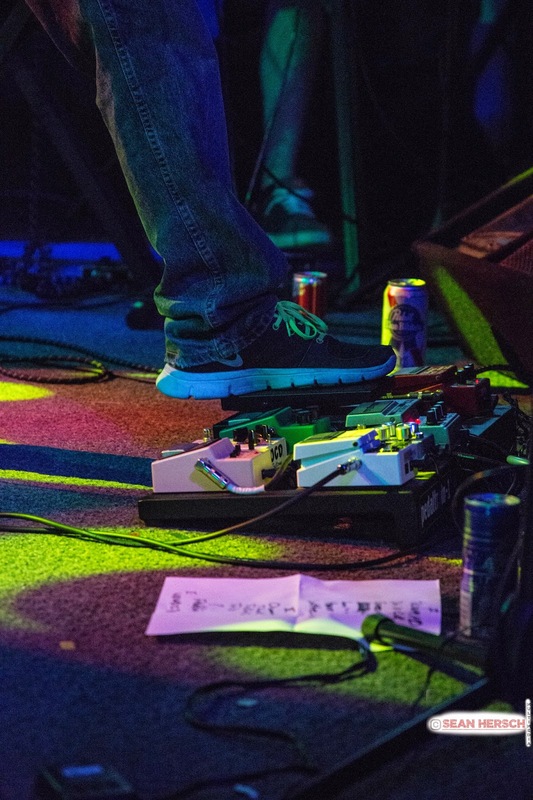 He has since risen to stardom on the back of his guitar and his insightful lyricism. 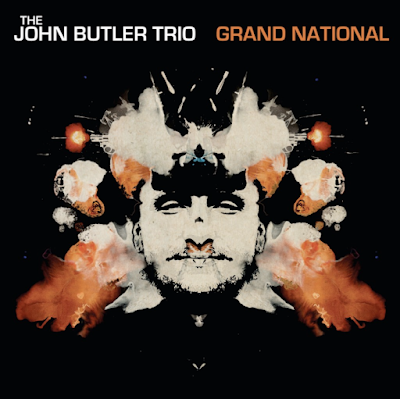 A former panhandler, John Butler now has four solo albums and six studio albums - with John Butler Trio - on his resume which expands more than 15 years. Today's song of the day, "Used to Get High" comes from his 2007 album release "Grand National." As you listen to this song, take a moment to really think about the lyrics. With shining spirit, John Butler speaks of being conscious in a world where we are greatly influenced by what we choose to consume. He argues that everyone has their addictions, whether it be drugs, alcohol, T.V., tobacco, fast food, etc...and that once you realize the grasp consumption has on our society, you can choose to live a better and healthier life. Besides the masterful lyricism, this song keeps an upbeat rhythm throughout and will keep you dancing while Butler subtly drops some knowledge on your brain. Enjoy! 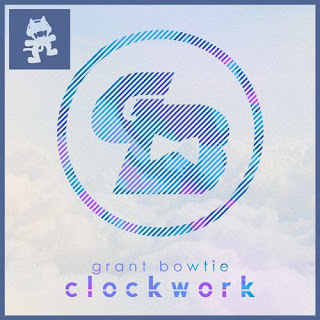 Grant Bowtie, an electronic producer living and working out of San Diego, California, brings us on a journey with this high- energy progressive electro track, "Clockwork." 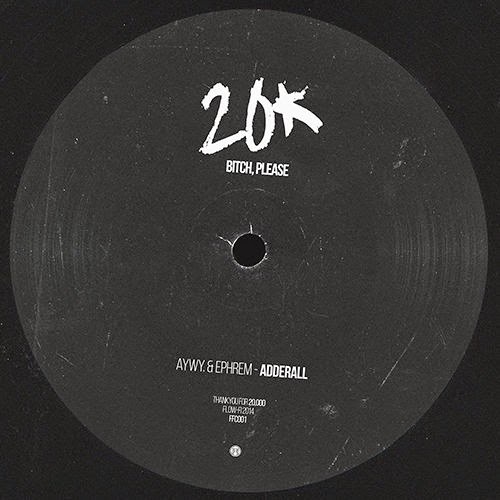 This track is the latest publication on his Soundcloud, having been released last November. Grant Bowtie is a signed artist of the Canadian label Monstercat, along with the notorious likes of producers such as Pegboard Nerds, San Holo, and Case and Point. 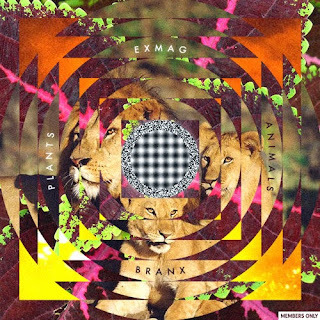 This particular track is one for the books - it's ethereal melodies mixed with lively and powerful chords makes for a fantastic, aesthetic experience. However, it seems like most if not all of his work does this. I admired him from the first time I heard "Facets," which was released in March of last year, as well as his other breathtaking track "LED." I am hoping he is currently working on a project that will be released soon, because he is just too good for the long wait. It's Thursday y'all. You know what that means - the weekend is almost upon us and it is time to get rowdy! We have just the perfect mixture of jazz, sax appeal and improv beats to fill up your cup and get you turning in the right direction...up! Today's song of the day comes straight out of the New York City subways - yes you heard that correct. 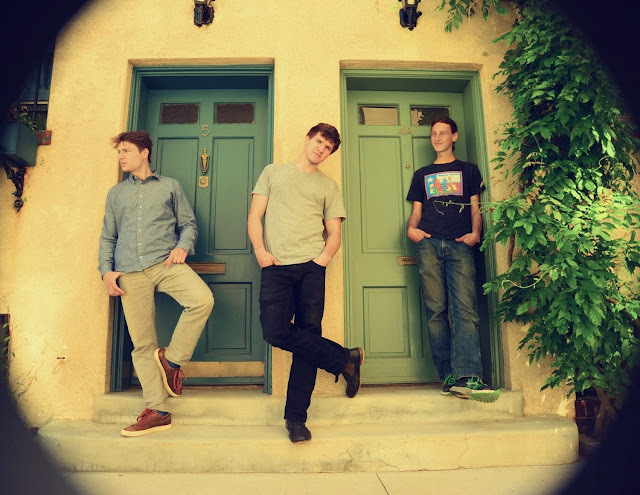 "5-Sax Piece" comes from the wildly talented three piece, Moon Hooch and their latest album "This is Cave Music." If you have yet to hear them play, imagine jazz/improv mixed with house and dubstep. Two saxophone players and a drummer produce a sound unlike anything you have ever heard. If you like what you hear, check out their SoundCloud...it is chalked full of great stuff! Moe. has been tearing it up since the late 80's and they show no signs of stopping. Here's fan favorite of their's and you can't deny they've got a good thing going. 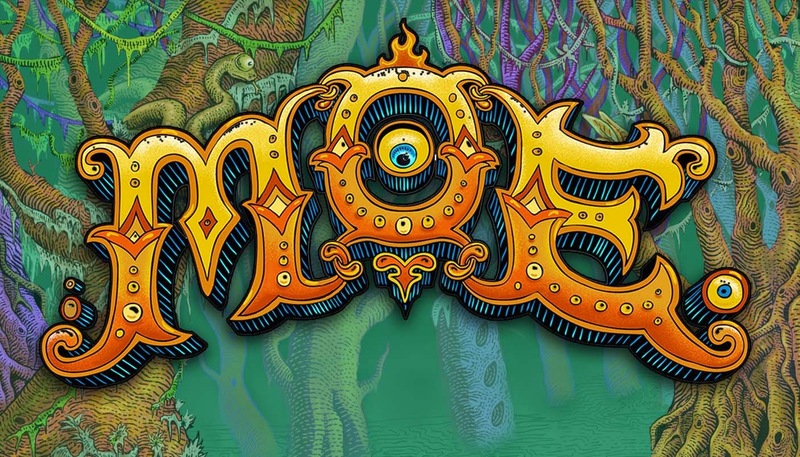 During an interview, guitarist, Al Schnier, was asked to describe moe. for those who have never heard their music: "It's an amalgamation of a wide variety of the history of rock, all regurgitated and recycled through the eyes, ears, hands, whatever of the guys in our band and all of that with a sense of adventure, a sense of humor, also a constant desire to push the envelope. 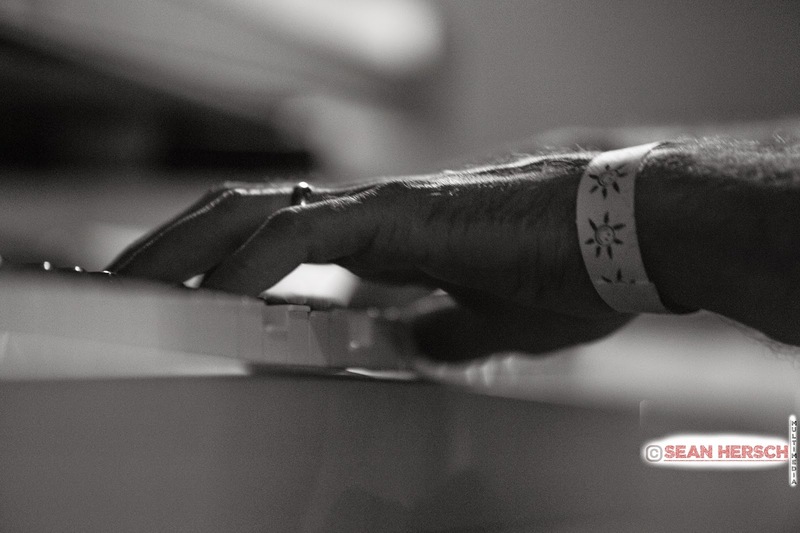 All in this arena of taking chances, improvising live, and making things up on the spot." 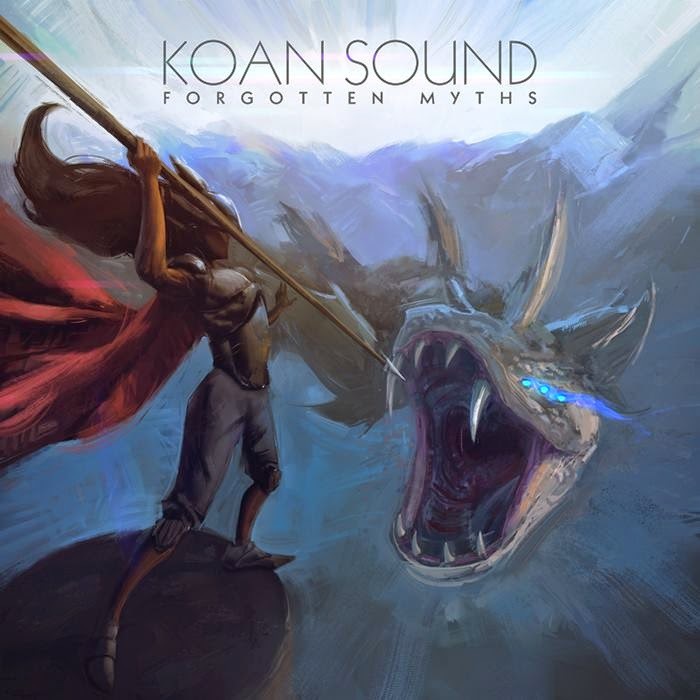 British duo, KOAN Sound, made up of Jim Bastow & Will Weeks, dropped their newest release yesterday, Forgotten Myths, an EP made up of 4 tracks. 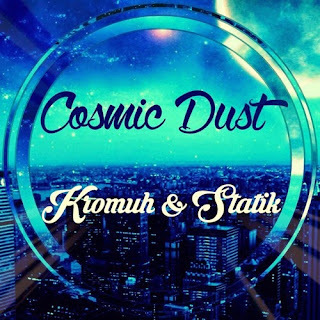 Throwing the standard formula for Drum & Bass out the window, these two developed a depth of sound that contains a mysterious darkness to it. The EP is available as a free download, HERE, through their bandcamp page. Set to embark on a North American tour, these guys are likely coming to a city near you. Check out their full tour schedule. HERE. Miike Snow is a very odd band name, especially considering there are three people in the band and none have that name. 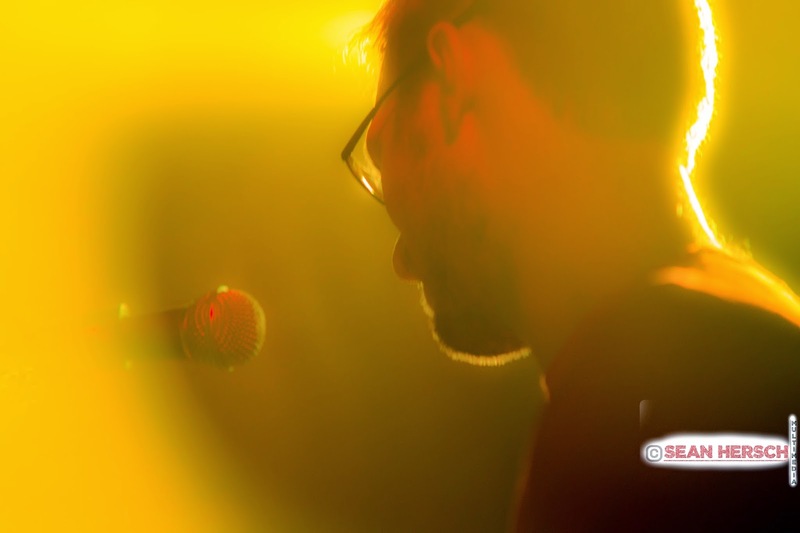 The band is made up of Christian Karlsson, Pontus Winnberg, and Andrew Wyatt. They call it "A three headed band with a one man name" on their facebook description. This is the official video for "Pretender" all of which was filmed during a Miike Snow performance at Hard Summer Music Festival in Los Angeles back in August of 2012. The video depicts a guy (The Perfect Human) with a cartoon type of face having the time of his life while extremely drunk at the concert. 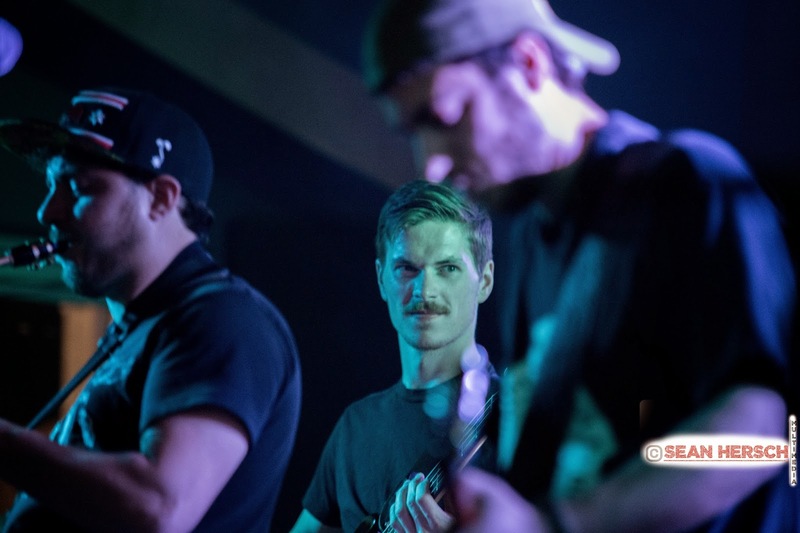 "Pretender" is a sort of futuristic indie-rock jam with lots of energy and experimental blends of sounds. 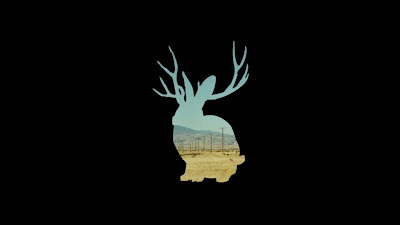 There are a lot of really good songs from Miike Snow, you can get more info on tour dates and new releases on their official website by following the link. 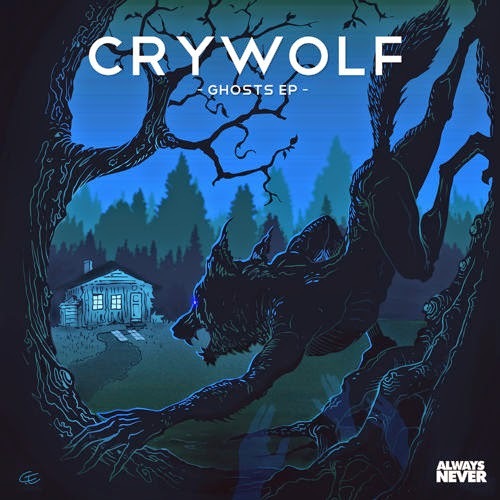 This is a beautiful song from Crywolf with amazing vocals from Maigan Kennedy. Crywolf is a Los Angeles based producer and musician, his real name is Justin Phillips. His talents also include singing as well, and he is the baritone harmonic voice on this song too. 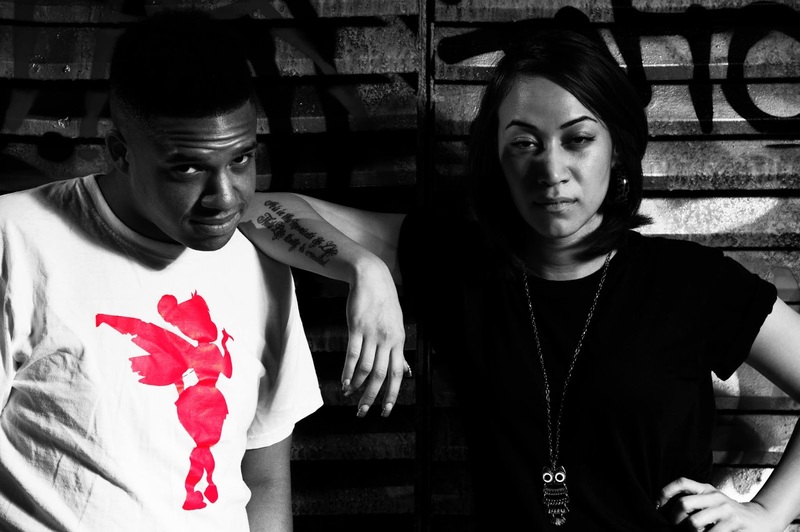 "The Home We Made Part II" starts very mellow and builds into a burst of wubs at the drop. Lots of strong feelings are invoked with music like this, that's why I like this song so much. 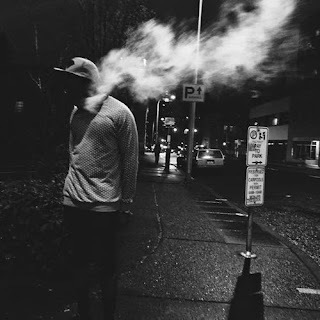 Get more from Crywolf on his official soundcloud page here. This is a bouncy deep house track from a great electronic music producer Cory Enemy. 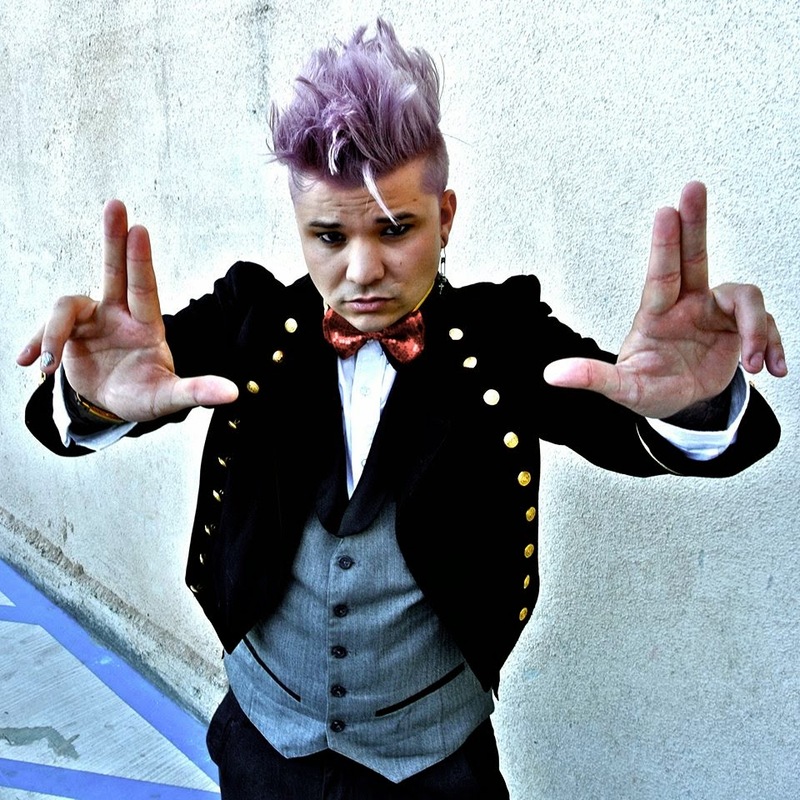 He has a lot of style rocking a huge head of hair that he often has standing straight up, and colored as bright as possible. Cory Enemy's productions cover a ton of different sub-genres of electronic including trap, electro, house, and more. 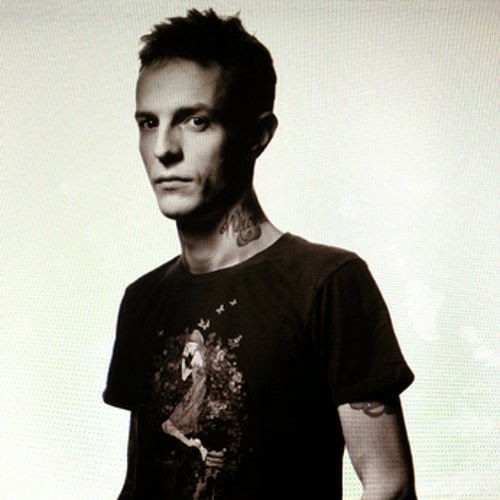 He has a huge selection of remixes and collaborations with everyone in the industry. "Go Deeper" starts with a simple drum and synth duel melody intro and then builds into a full drop with a bunch of interlocking melodies. Deep house has become a very popular type of electronic music, with a huge following from people old and new to the game. 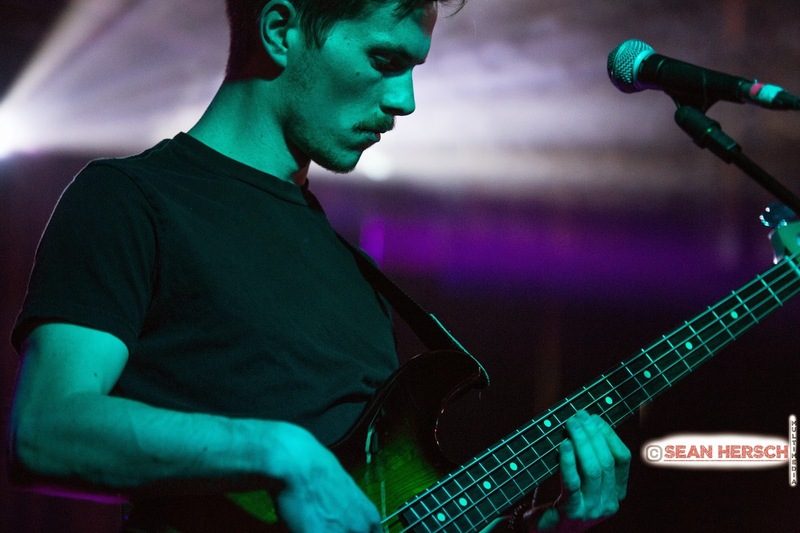 You can get more Cory Enemy music by following him on soundcloud here. 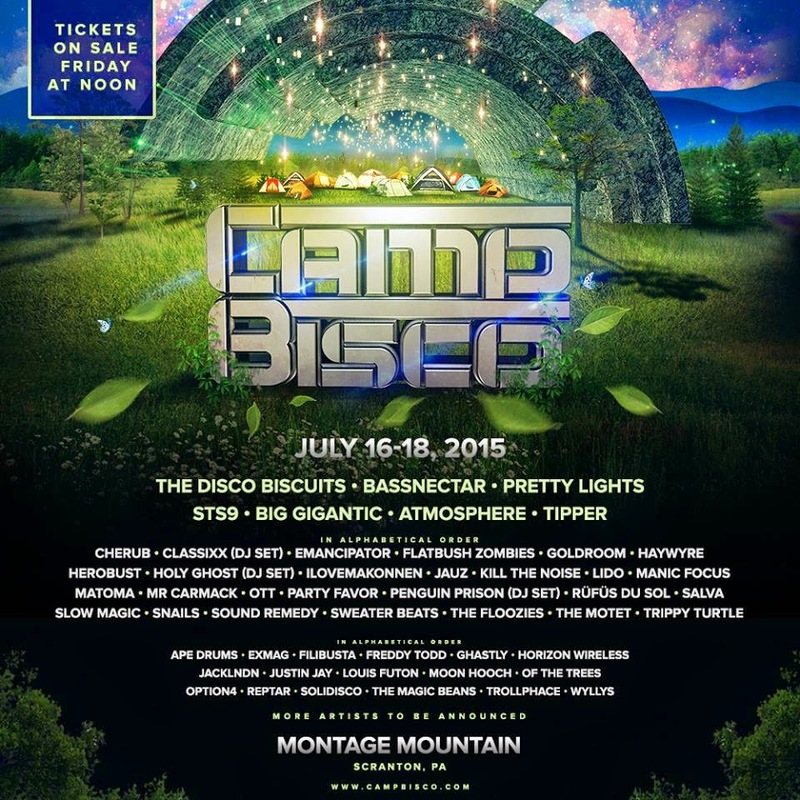 Camp Bisco Returns With An Out Of This World 2015 Lineup! Back to Scranton, PA for what will be an historic event. Any event that brings Bassnectar AND Pretty Lights is sure to be one for the books. While taking a year off in 2014, it was up in the air if they'd come back, but now we know! Tickets are on sale now and I'd imagine they're going quick! Head over to campbisco.com for more information. What better way to ring in the Spring season like turning up the speakers to this little gem? A flashback to about two years ago, but a classic nonetheless, comes Australian producer Wave Racer, whose rework is forged from another fellow Australian artist, DCUP, well known for his work done with Yolanda Be Cool and their colossal hit "We No Speak Americano." This song, however, is on a pretty different wavelength, incorporating all kinds of delicious chords and vocals that leave you with an elegant, energetic and feel good jam. So don't be shy, just press play!